This country kitchen is just gorgeous! 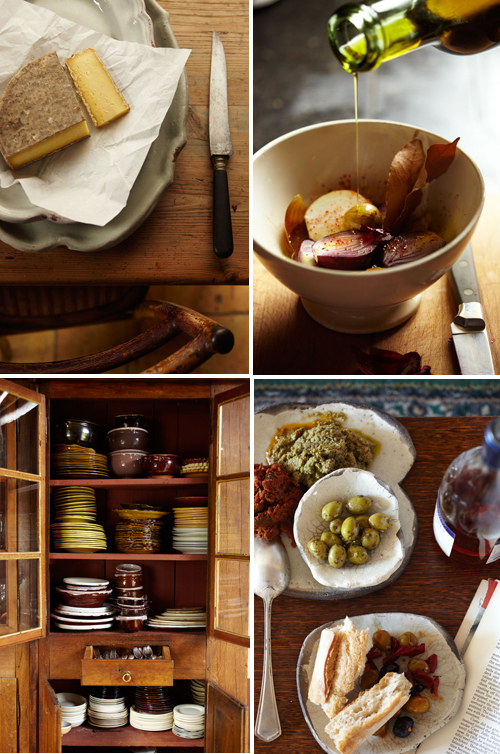 I am also loving the food styling in the images below. It makes me very hungry! i love a rustic kitchen! i’m sure it’s lots of joy cooking in them. i’d love to have one, too, only, maybe in dusty pink. beautiful pictures, i love rustic kitchens…and patios! there’s something about them that remind you of summer calmness. Beautiful and so inviting. The stacked up jam jars scare me slightly! What happens if you need something from the bottom level? So warm and inviting! I’m trying to come to terms with the fact that the kitchen in the apartment I’m moving into will never look rustic no matter how hard I try to decorate. Oh well! C’est la vie. So charming…I love the blue and white tile backsplash. 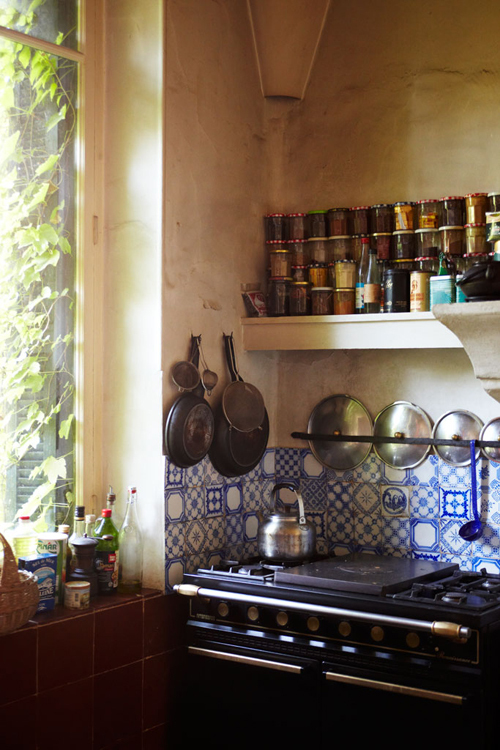 Love this kitchen – makes me want to move to a farmhouse to do my inspired cooking. . .
Ooooh~ I love the pottery plates of the last photo! don’t know where I can get them.